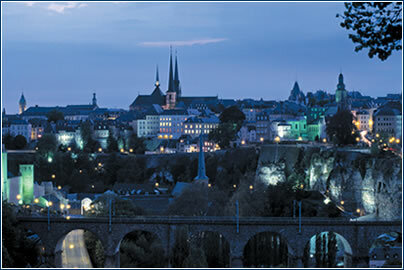 Luxembourg City is the heart of the country in cultural, political and social respects. It is not only the country’s capital but also one of the three capitals of the European Community (the other two being Strasbourg and Brussels). MOREOVER, Luxembourg city is a banking and business center and cosmopolitan town surrounded by magnificent historical fortifications, classified as world patrimony by UNESCO. 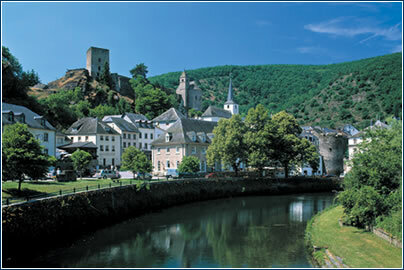 The city is very pleasantly situated overlooking the Pétrusse and Alzette Valleys. Luxembourg was founded in 963 AD on a rocky outcrop known as “the Bock”, by Sigefroid, Count of Ardennes, who expanded on a roman castillium, thus laying the cornerstone of a fortress that later was to become Luxembourg City. A very nice and quiet place with an English-Italian atmosphere. To enjoy an “artistic break” and meet actors from the Théatre des Capucins. Advice: Have fun finding numerous references to the Czech Republic in Luxembourg! Favorite attractions: Pedestrian zones and cafés in the area of Place d’Armes. Advice: It is definitely worth it to leave the capital and see the surrounding neighborhoods. Favorite attractions: The City Museum of Luxembourg and the American cemetery where my uncle and Patton are buried. Best-kept secret: The countryside (I think they call it “Little Switzerland”) in the spring, and the spa town next to Luxembourg City. Advice: Take the time to stay for more than one day. Time zone: GMT +1 (GMT +2 between the last Sunday in March and the last Saturday in October). Electricity: 220 volts, 50 Hz. European-style two-pin plugs are used. Visas: citizens of Australia, Canada, New Zealand, the US and virtually all of Western Europe, require only a passport to enter Luxembourg for stays of up to three months. Currency conversion rates as of press time. www.europe-today.com/lux/sightseeing.html – a fine site for booking hotels, and for getting inside info from travelers via the online forum. 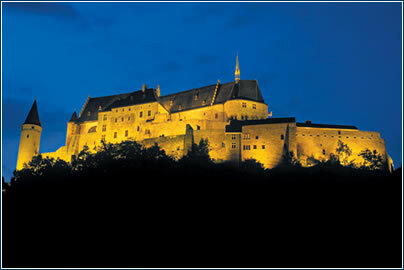 · Luxembourg is one of the most prosperous countries in Western Europe. Two very different industries – banking and steel – have historically been the mainstays of the economy. The historically dominant steel industry has taken a back seat to other industries, notably chemicals, rubber, plastics, metal products and light manufacturing (textiles, paper, electronic equipment). · The banking and finance sector is also in a healthy condition: companies originally attracted to Luxembourg by favorable banking secrecy laws and low taxation have prospered despite the gradual harmonization of taxes and tariffs across the EU. · The economy has long been linked with that of Belgium, initially through the 1921 economic union, supplemented by a further treaty in 1958 and latterly, by mutual membership of the EU. Luxembourg was an inaugural member of the Euro at the beginning of 1999. Belgium is the largest single trading partner, followed by The Netherlands and France. · Commercial contacts: Belgium/Luxembourg Chamber of Commerce, Riverside House, 27/29 Vauxhall Grove, London SW8 1SY, tel: +44 (0) 870 246 1610; fax: +44 (0) 870 429 2148; e-mail: info@blcc.co.uk; or Chamber of Commerce, 7 Rue Alcide de Gasperi, Luxembourg-Kirchberg, tel: +352 423 939-1; fax: +352 438 326; e-mail: chamcom@cc.lu. · Conferences/Conventions: Its location at the heart of the EU ensures the country’s status as a popular destination for conferences and conventions. Further information: Luxembourg-Congres, Hémicycle Européen, 1 rue de Fort Thüngen, L-1499 Luxembourg-Ville, tel: +352 4302 57753; fax: +352 4302 57575; e-mail: info@luxcongress.lu.